Former Doobie Brothers front man Michael McDonald, one of the most distinctive and popular vocalists to emerge from the late '70s, remains an enduring presence in music. 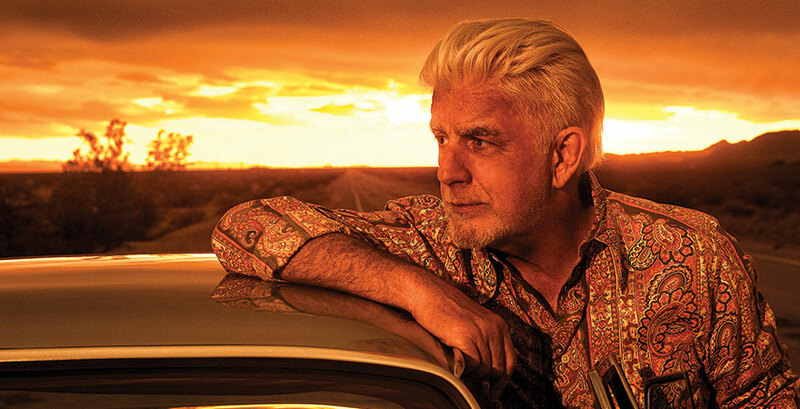 Michael McDonald’s performs at State Theatre New Jersey on Friday, September 21! After launching his career singing backup on several Steely Dan albums, McDonald joined the Doobie Brothers in the late 1970s as a singer, keyboardist, and songwriter. His distinctive, smooth vocals and polished, soul-infused sound ushered in the Doobie Brother's most popular period, with hits that included "What a Fool Believes" and "Taking It to the Streets." Following the Doobies' farewell tour and 1982 breakup, McDonald recorded a string of hits as a solo artist, including “I Keep Forgettin’ (Every Time You’re Near),” “Sweet Freedom,” and “On My Own” (with Patti LaBelle). McDonald’s career includes five Grammy Awards® and numerous chart-topping successes as both a solo artist and as a member of the Doobie Brothers. A versatile artist, he has co-written songs for musicians from Van Halen to Bonnie Raitt to Cheap Trick to Aretha Franklin. He has collaborated with some of the world’s most prominent artists, including Donna Summer, Toto, and Kenny Loggins, and recently has shared the stage with a young generation of musicians such as Brainfeeder bassist Thundercat and Solange (Knowles). McDonald’s newest release, Wide Open, is his first studio album since 2008’s Soul Speak, and his first album of original material in 17 years. McDonald recorded the tracks with his long-time friend, producer and drummer Shannon Forrest. The LP was recorded with a crew of Nashville session players and features collaborations with top-notch guest artists. Wide Open will satisfy fans who have waited for a return of the jazzy, keyboard-infused soul that made Michael McDonald popular in the late 1970s and 1980s. The album launches with the smouldering “Hail Mary” and it’s clear from the opening lines that McDonald still holds power in his deep voice. “Hail Mary,” a tale of regret and missed opportunity, is accentuated by dramatic chord progressions that highlight McDonald’s characteristic gruff vocals. “Find It In Your Heart," and “If You Wanted to Hurt Me,” both aided by virtuoso bassist Marcus Miller, most recall classic McDonald’s solo and Doobie Brothers tracks. “Find It in Your Heart” is a sophisticated, sunny, groove layered with McDonald’s distinctively robust voice. “If You Wanted to Hurt Me,” a fun and funky R&B rocker, is reminiscent of an energetic Doobie Brothers song. An admitted slow songwriter, McDonald wrote Wide Open over several years. The record's lengthy gestation yields an eclectic solo collection; McDonald pulls from country music, R&B, Southern blues, and soft- and classic- rock, all which showcase the husky baritone that is recognized as one of the most definable voices in music. Branford Marsalis’ legendary saxophone twists through a dense and complex fusion of jazz and soft rock, “Blessing in Disguise.” The breezy West-African inspired “Too Short” is an optimistic slice of tropical Caribbean pop. The slow burning, unapologetic “Just Strong Enough” provides the Memphis styled soul reminiscent of an electric-acoustic BB King blues. “Honest Emotion” is a haunting song of exposed regret that McDonald sings softly. The string arrangement on “Honest Emotion” combined with McDonald’s moving vocal creates a memorable impact. The final track, “Free a Man,” is an uptempo funky R&B swing. Michael McDonald’s 2018 tour highlighting songs from Wide Open will be stopping at State Theatre New Jersey on Friday, September 21 at 8pm. Don’t miss this opportunity to hear new hits and old favorites!